Picasa 3.9, the latest update to the Picasa client, is ready for you to try out! This update includes Google+ sharing and tagging, new photo editing effects and lots more. To download Picasa 3.9, click here. Share with people in your Google+ circles: Picasa 3.9 makes it easy to share the right photos with the right people with just a few clicks. To share an album, just click on the green “Share on Google+” button and add the specific circles you want to share your photos with. Find out more here. And of course, you can always share by adding someone’s email address or emailing them a link to the album. Tag people in your circles: When you click a photo to tag a friend, the dropdown menu now includes people in your Google+ circles in addition to your Gmail contacts. If you tag friends from Google+, Picasa will automatically suggest that you share your pictures with them when you upload your album. Learn more about tagging. Upload all your pictures for free: Picasa 3.9 offers two simple upload options for Google+ users, original size and best for web sharing. When you select the “Best for web sharing” option, you can upload any number of pictures for free! What’s more, these pictures are uploaded at high resolutions of up to 2048 px. In addition to these Google+ features, all users can enjoy the following improvements (listed on our What’s new page). Simplified tray interface: Less commonly used tray icons (such as BlogThis!, Collage, Movie, Shop) are hidden by default (you can always add them back). 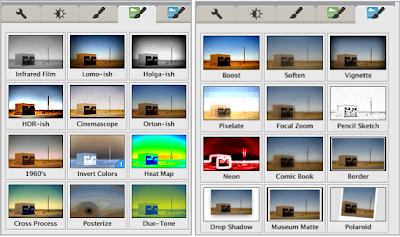 Give this new version of Picasa a try, and as always, we’d love to hear your feedback. If you'd prefer to keep using Picasa 3.8, you can download it from our archives here (Mac - Windows).